Journal of Current Researches on Engineering, Science and Technology (JoCREST) started its publication life in 2015. JoCREST is a refereed journal which is published two times a year (in June and December). All submitted articles are scanned with iThenticate before the referee process. The article whose similarity rate is less than 15% is started the referee process. JoCREST is an open access journal. JoCREST accepts publication in all areas of Engineering, Science and Technology sciences. JoCREST is constantly open for article submission. The referee process is completed with the "Early View" option without waiting for the publication of the forthcoming issue. 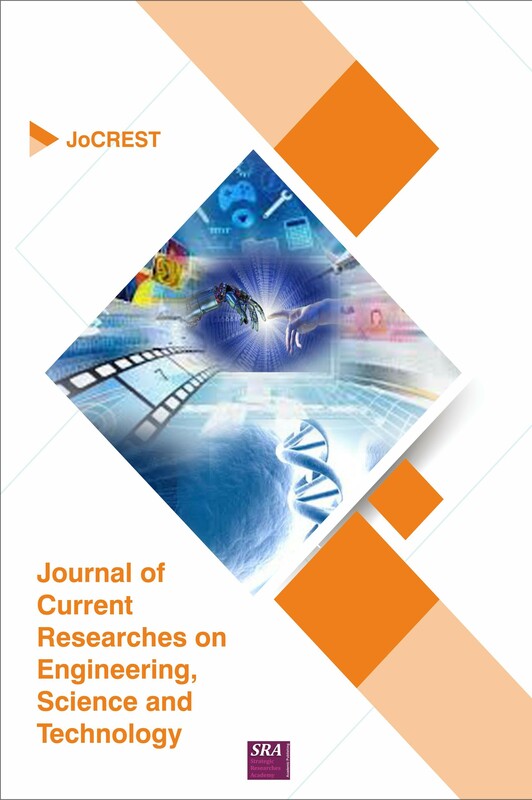 Journal of Current Researches on Engineering, Science and Technology (JoCREST) aims to provide current knowledge, practice results and theoretical approaches to social sciences in Turkish and English. In this journal, original articles on original articles, field research, case studies and theories that have not been published elsewhere can be published. When submitting an article, the article authors should add to the ORCID's articles. To get / learn ORCID you can click on https://orcid.org. The referee process assigns the DOI to each completed article and is released at the time of publication. Please prepare your article in accordance with the following writing rules and the example template below. Non-conforming articles will not be accepted. In particular, tables and figures should not be grouped in any way, and certainly should not overlay page sizes. 3 cm from all sides. the margin should be left. The entire "Macbria" font should be used. All articles should be prepared according to the template on the link. Please click to access the article template. A fee of 60 € is charged from the referee's completed articles. Broadcasting fee; internet site fees, consulting and refereeing expenses, DOI purchasing and article design procedures.